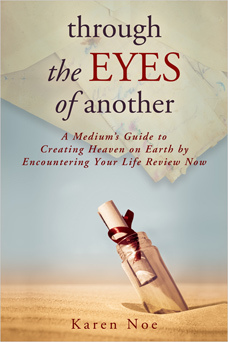 Through the Eyes of Another is a special how-to account of the author’s personal experiences in connecting with her own life review (before she passed over!). As a person’s body dies and they pass into the spirit world, their spirit goes through a life review to experience the emotions and feelings of everyone they have touched in their life. So you could potentially experience the hurt and upsets you caused those people in your life, as well as the joys and love. That must be a very powerful experience. The author, Karen Noe, being a spirit medium is able to communicate with the spirit of loved ones after their passing. There are many spirits that come to her through readings with clients. And these spirits very often have regrets for things they wished they had said, but never did. Or are distraught from the things they did to their family and loved ones. So Noe is able to relay the messages of regret and their apologies. During a time of distress, Karen started to wonder if it was possible to encounter a life review while still in the living. She asked her angels if it was possible. They started to show her a wonderful technique that involves writing letters to the people she wanted to make peace with. This book shows us how to form letters to both deceased loved ones and those still in the living. There are different categories like: gratitude, forgiveness, and one to show love for yourself. Noe includes many of her own experiences in this guide, which really helps to understand exactly how powerful this technique is. 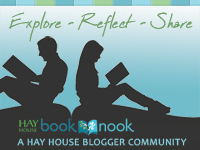 But she also shares experiences that others have had by using the living life review. 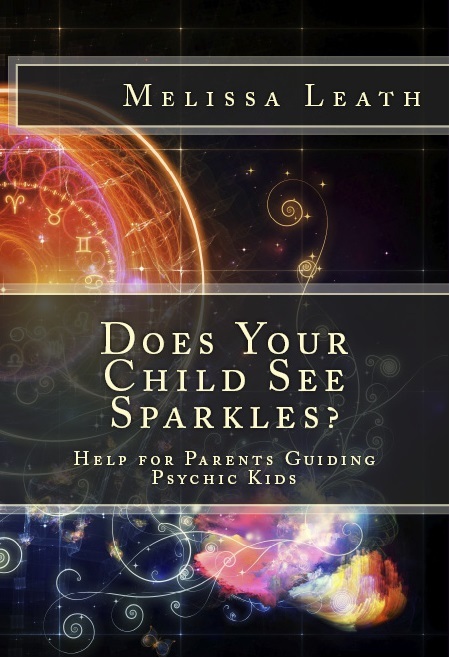 Karen also includes lots of “goodies” in the back of the book, dealing with getting feedback from deceased loved ones, other ways to see through the eyes of another, how to maintain the level of peace you have achieved, and finding love for yourself. In the appendix, she shares what happens when someone dies unexpectedly, when a young child crosses over, and connecting with animals. I knew I wanted to read this book, since I am also a medium. I must say that Karen speaks the truth, because I can relate to so many of the experiences she recounts here. And I have also had validation with the communication with the spirit of those who have passed away. I certainly recommend this book to anyone who has lost a loved one, and feels like they have not resolved issues with them, or if that person crossed over unexpectedly. If you have had too much hurt and dissention from your family over the years, this is an ideal way to create peace within the family. For many people who wish to understand what happens when the spirit leaves the body at death, Noe gives a brilliant explanation. FTC Disclosure: I received a complimentary copy of this book from Hay House Publishing for review purposes. My opinion of this book here is unbiased, reflecting my honest judgment of the product.